The state's Big Tree Program was started in 1950. It has been part of a nationwide network run by the conservation group American Forests. That group has logged some 721 champions across the country. Two hundred species still don't have a title. The effort today is driven by tree lovers like Martin. It was created to raise awareness about protecting forest from threats like development and forest pests. It also offers a way to better understand why some species grow so large. To find a champion, an owner starts by measuring its circumference. The owner sends that data to the tree program. Then, Martin or another volunteer goes out to measure its circumference, height and crown, as well as its overall conditions. From those figures, a point total is created. Winners earn a place in the big tree list. The owner gets a certificate. Some even have their photos taken alongside the tree. "It's like finding a rare tiger. There is a segment of the population that really connects with trees," said Ian Leahy. He is director of urban forest programs for American Forests. He coordinates its American Biggest Trees program. "There is a just a deep, deep passion. In some ways, it's just out being in nature. It's like hunting. But without killing anything." But it's not just the thrill of finding a big tree. These forest giants serve as role models of sorts. They help the public understand the outsized role trees play in nature. Trees feed and shelter animals, protect watersheds and provide a sink for carbon that helps to offset greenhouse gas emissions. "It's still a champion. Yep," Martin said after he was able to tally up all the numbers. "It still beat out all the horse chestnuts in the state." There is a huge horse chestnut tree in New Hampshire, Portsmouth.Legend tells that William Whipple planted the tree after signing the Declaration of Independence in 1776. The chestnut tree is 70 feet tall! 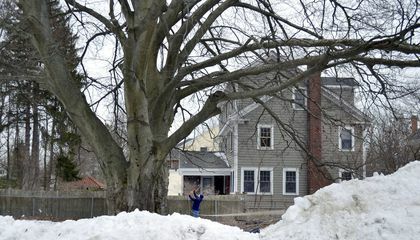 The tree has been the state's biggest horse chestnut tree for decades. "The tree has been here for along as well" said Martin. 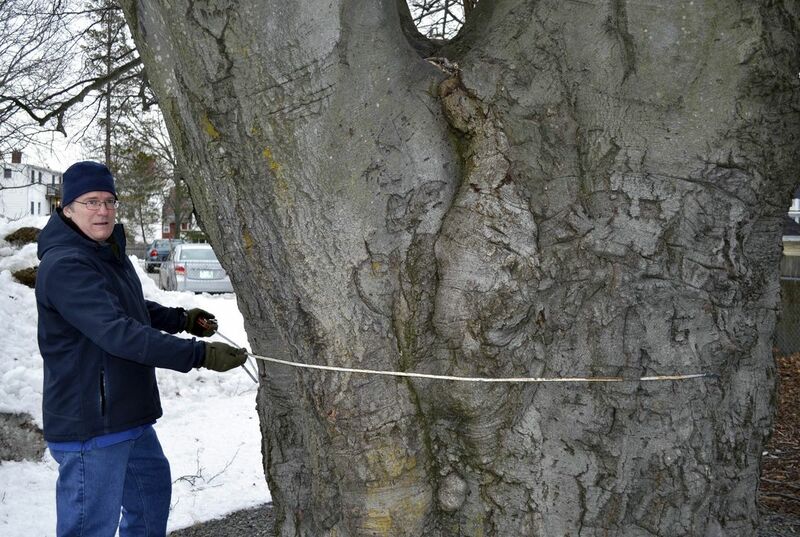 Martin measured the tree to see the circumference. The tree is not in somebody's yard but near road. I think that its amazing its so tall because its a chestnut and chestnuts usually not that tall.If it was the biggest tree in the world that would be so cool but its not only the biggest in Portsmouth New Hampshire. Theses trees are really cool. Can you imagine how long they have been their? probably a really long time. In response to "Why are trees so important to New Hampshire?," I think that trees are very important to New Hampshire. One reason I agree is that this particular tree holds a lot of history behind it and that makes it extra special. "The tree is known for its history more than its height. Legend has it that William Whipple planted it after returning in 1776 from signing the Declaration of Independence." Another reason is that trees are crucial to the surrounding environment, It says in the article, "They help the public understand the out sized role trees play in nature. Trees feed and shelter animals, protect watersheds and provide a sink for carbon that helps to offset greenhouse gas emissions.They are especially important in a state like New Hampshire. Eighty-three percent of it is forested." Even though this tree is a world record and has a lot of history, I think that every tree is important no matter what state, without them life on earth would cease to exist. There are some big trees in Pennsylvania, but none like that. I think the big trees are really cool and I like seeing pictures of them. After reading this article, I want to go find a big tree because I have never seen such a large tree. I thought it was really cool and I want to go see the horse chestnut tree. The tree is nearly 70 feet tall and it was planted by William Whipple after sighing the Declaration of Independence. Trees are very important to New Hampshire because 83% of New Hampshire is made of trees. The "Big Tree Service" is a nationwide service that goes around the country looking for large trees. So far, nobody has found a tree larger then the chestnut tree. The have found 721 large trees and 200 species do not have a large tree yet. I hope they find more that big if not bigger, I find it cool that they do this on there free time. They have connections with them. Trees are so important in New Hampshire because people understand their connection with outdoors and nature. This relates to me because when I was younger i wanted to plant a tree so it could grow bug and i would be proud of it, so I understand why some people may want the trees because it means so much to them that some people wouldn't understand.